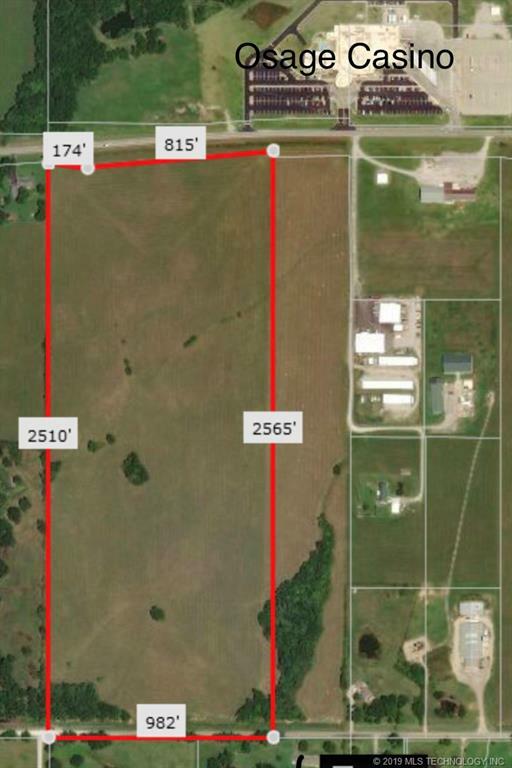 60 Acres M/L 990ft HWY 20 Frontage and 990ft of OAK st Frontage 990Ft X 2600Ft across from Osage Casino.All utilities available.25 minutes to Downtown Tulsa,less than 4 Miles to Skiatook Lake.Business Chains or developers! Priced to sell.Motivated Seller! west through Skiatook pat N 52nd W Ave across from Osage Casino on South side of Hwy.